Posted on April 1, 2019 at 12:03 pm. 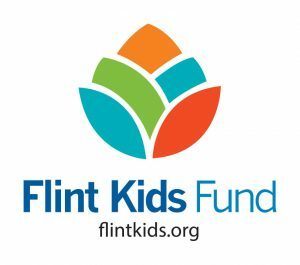 Child Connect for Family Success receives grant from the Flint Kids Fund. Thank you to the Flint Kids Fund for $35,000.00 to support the Genesee County Child Development Associate (CDA) Credential Scholarship Program. The CDA Scholarship program will provide the interactive training needed for thirty (30) early childhood professionals to complete their education for the Child Development Associate (CDA) Credential, thus increasing the number of educated and skilled early childhood workforce personnel in Genesee County. Enhancement of child development knowledge and skills can result in increased wages, an ongoing educational pathway and, most importantly, impact the children in families in their care. All classes will be held at the Cummings Great Expectation School in Flint. The Foundation for Flint, a supporting organization of the Community Foundation of Greater Flint, was established in 2016 to assist in Flint’s recovery from the water crisis. A 501(c)3 public charity, the Foundation for Flint raises and distributes resources to serve the long term health and development needs of Flint Children and their families. The Flint Kids Fund has distributed $7 million since its inception to safeguard the health of Flint children exposed to lead and support interventions that ensure they can lead healthy and productive lives. Posted on April 1, 2019 at 11:54 am. Posted on March 1, 2019 at 11:37 am. Posted on February 19, 2019 at 11:51 am. Posted on January 29, 2019 at 11:53 am. Posted on January 2, 2019 at 9:19 am. January 2019 newsletter “The Connection” is ready for you to enjoy and share! Posted on November 29, 2018 at 11:05 am. The December Newletter “The Connection” is ready for you to enjoy and share. Posted on October 30, 2018 at 8:34 am. The November “The Connection” is ready for you to enjoy and share! Posted on September 26, 2018 at 2:57 pm. The October Newsletter “The Connection” is ready for you to enjoy and share. Posted on September 21, 2018 at 11:47 am.